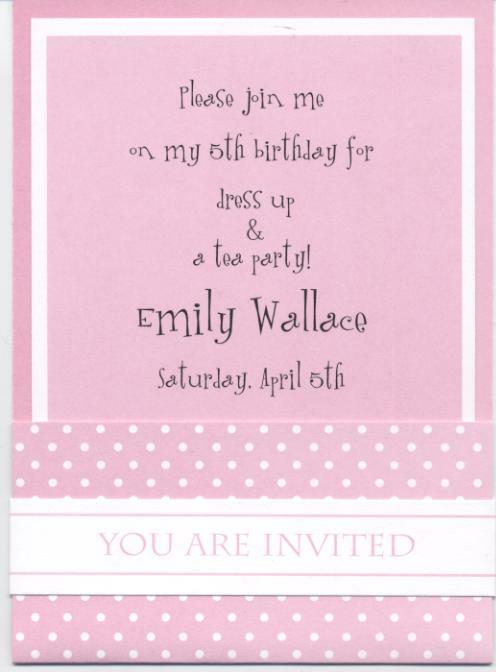 This very PINK invite features a pink and white polka dot fold-up pocket held together by a white band pre-printed with "YOU ARE INVITED". Your imprintable white bordered pink insert card slips inside the pocket. 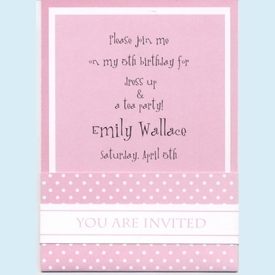 White envelopes with pink polka dot lining. Customer assembly required. NOTE: Only 6 sets left!